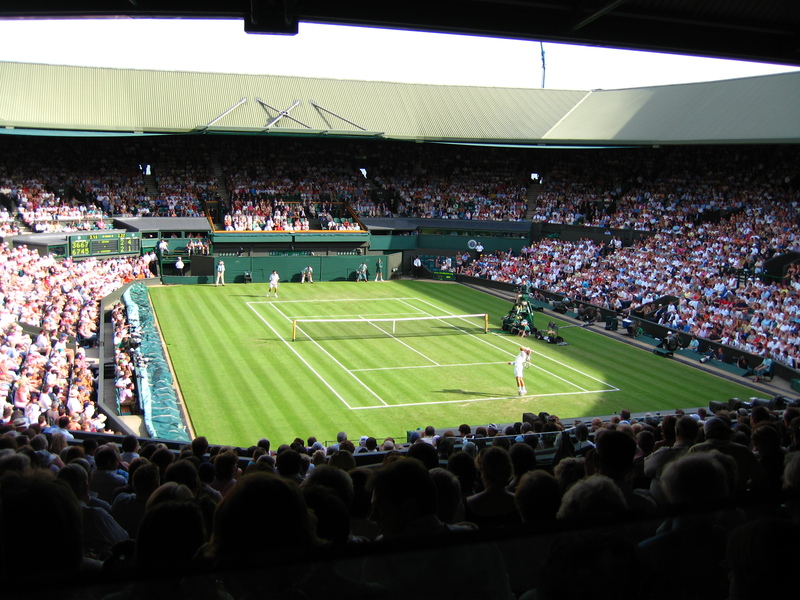 From the third to the sixteenth of July, the All England Lawn Tennis and Croquet Club received the 131st edition of the Wimbledon Championships. At the fiftieth edition in the Open Era, Roger Federer and Garbine Muguruza complied with the tradition by dancing together at Wimbledon Champions Dinner. In the following paragraphs, you will read about the deep (and crazy) numbers which turned this year’s edition into an historical one. Karolina Pliskova is the first Czech female tennis player to reach the top of WTA’s ranking. Surprisingly, Pliskova got that achievement several days after being defeated in London. Gilles Muller, from Luxembourg, shot four straight aces – a poker – against Aljaz Bedene, in their third-round clash. 7,4. The biggest television audience of a tennis match was registered when Johanna Konta played Simona Halep, in the quarterfinals, seen by 7,4 million enthusiasts. Born on the 8th of August (8th month), Roger Federer won his 8th Wimbledon title with his 8th ace in the final, beating Marin Cilic, who had already played and defeated in 8th different occasions. Garbine Muguruza raised her level and won the last 9 games against Venus Williams in the Ladies Final. Another record achieved by Roger Federer, who reached Wimbledon’s Final for the 11th time. The longest rally played at this year’s Wimbledon was between Rafael Nadal and John Millman, who hit the ball seventeen times each. Roger Federer became the oldest man in the Open Era to win the Gentleman’s Wimbledon Title, at the age of 35 years and 342 days. Venus Williams became the oldest woman to reach the Ladies’ Wimbledon Final, since Martina Navratilova, in 1994. In 1967 – 50 years ago -, the eight best tennis professionals in the world were invited to play the Wimbledon Championships, which led to the beginning of the Open Era in the following year. Venus Williams played and won her Wimbledon’s 100th match when faced the French Open winner, Jelena Ostapenko, in the quarterfinals. Not the longest, but the match with more points was played between Aljaz Bedene and Ivo Karlovic, which ended with the astonishing result of 6-7(7) 7-6(6) 7-6(9) 6-7(9) 8-6. Sam Querrey became the first male American to reach the semi-finals since Andy Roddick, in 2009.